THERE’S NO BUSINESS like show business. Or rather, there’s no business that encourages burnout, turnover, and persistent debt among holders of its terminal degree quite like show business. Brown University took a tremendous step forward on Feb. 26, when it announced it would cover full tuition for students studying for a master of fine arts degree in acting and directing in the school’s training program with Trinity Repertory Company. The advocacy of faculty and students was crucial. “I think the tone shifted after we, as a community, started interrogating the way in which Brown/Trinity was not an inclusive environment,” said Alexis Green, who graduated from the acting program in 2017. “This breaks down a whole wall for those from lower-income backgrounds,” said Green, who helped form the Brown/Trinity Student Resource Board, focused on greater inclusion at Brown. The university deserves credit for responding to criticism and for financially supporting its current and future students. To be clear: Tuition is far from the entire cost of training a young artist. Brown estimates graduate students’ nine-month cost of living to be $22,095. The university cited stipends and positions as teaching assistants and proctors as steps to close that gap. “Some of my mentors and professors are still in debt now, 20 years after graduating,” said Anita Castillo-Halvorssen, a candidate for an MFA in acting at Brown/Trinity. More often than not, modern theater rests upon students’ ability to pay for access to major training programs. If an aspiring artist can’t take on the burden of debt to enter such programs, their opportunities are sharply limited. And even for those new graduates who do find jobs and parts, the pay can be extremely low. Financial barriers don’t affect everyone equally. “In the theater world, diversity is often hampered by the inability of low-income artists and artists of color to afford to be creators,” wrote Brown University theater arts and performance studies department chair Patricia Ybarra in an online statement. Brown’s decision is especially noteworthy because university programs have helped define the place the arts hold in the American public square. “This change in funding . . . signals the idea that art-making, like arts scholarship, is a public good, and that as such it deserves to be supported as part of the mission of a research university,” wrote Ybarra. The fundamental problem is not that we are losing theater seats, as most of the press coverage and handwringing would have people believe. Rather, we have too many of one kind of seat and not enough of another. A solution will require collaboration among diverse groups and careful long-term planning. It’s heartening to see private institutions leading the way, especially while the federal government neglects its responsibility. The same nation that once funded the extensive Federal Theatre Project during the New Deal could now lose the National Endowment for the Arts and the National Endowment for the Humanities under President Trump’s budget proposal. Brown/Trinity isn’t the only school offering this level of support; the University of California at San Diego also covers full tuition. 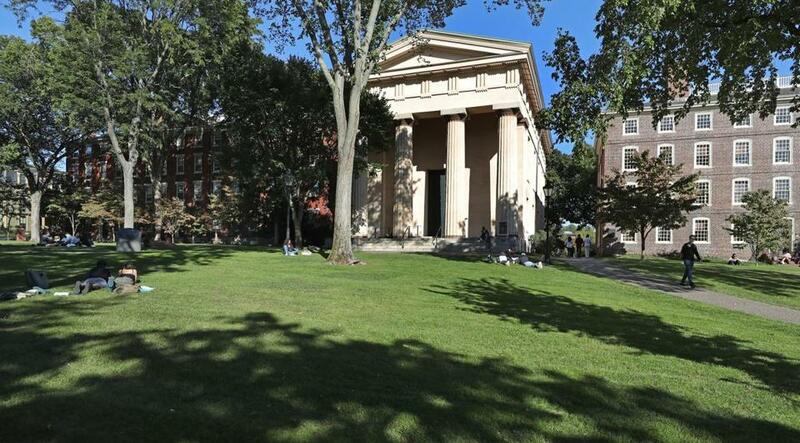 Harvard’s ART Institute offered a graduate program in theater but suspended admissions in 2017, after the US Department of Education gave the program a “failing” grade for burdening its graduates with unmanageable levels of student debt. Perhaps when its training program reopens, the ART Institute will be able to offer prospective students more support. In the meantime, Brown/Trinity meets a higher standard by breaking the cycle.